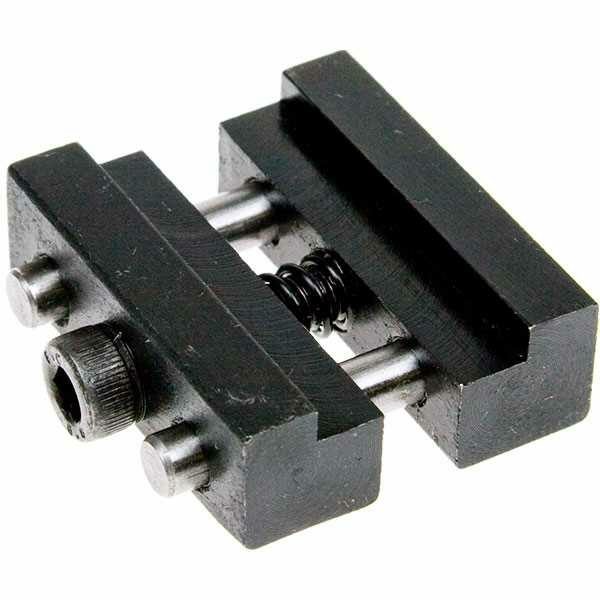 Small spring loaded clamp - may be used as a vice stop for repetitive work or for holding small parts. It has stepped jaws and is held together by two hardened steel dowels. Max. opening sizes are 13mm between the jaws and 25mm in the step. Ideal for model engineers for those ultra small parts that you need to move between machines or the vice without disturbing anything.